Good day ladies and gentlemen and welcome to the alphabet, third quarter 2018. 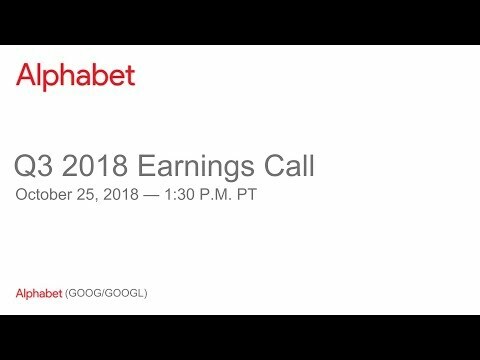 Earnings call at. This time all participants are, in a listen-only mode later. Was well conduct a question-and-answer session, and instructions, will be given at that time if anyone. Should acquire operator assistance please press star and then 0 on your touch-tone telephone, i'd now, like to turn the conference over to Ellen, west have Investor Relations please, go ahead thank. You good afternoon everyone. And welcome to alphabets, third quarter, 2018. Earnings, conference call with. Us today our ruth bharat and sundar pichai now. Quickly covered, the safe harbor, some. Of the statements that we make today may be considered forward-looking. Including. Statements regarding, our future investments, our long-term growth, and innovation the. Expected performance, of, our businesses, and our, expected level of capital expenditures. These. Statements, involve a number of risks and, uncertainties that, could cause actual, results, to differ materially. For. More information, please refer to the risk factors, discussed in, our Form 10-k, for, 2017. Filed, with the SEC. Undue. Reliance, should not be placed on any forward-looking. Statements and they, are made based on assumptions, as of today we. Undertake no obligation to, update them during. This call we will present both gap and non gap financial, measures a, reconciliation. Of GAAP to non-gaap, measures, is included, in today's earnings, press release as you know, we, distribute, our earnings release through our investor, relations website, located, at. ABC, X, Y Z slash, investor. This, call is also being webcast from, our IR website where. Replay, of the call will be available later today and now, I'll turn the call over to Ruth Thank. You Ellen our, revenues, in the third quarter continued. To benefit from ongoing strength, in mobile search with important. Contributions. From YouTube cloud. And desktop, search, resulting. In consolidated. Revenues, of thirty three point seven billion up. 21%, year, in year and up, 22%. In constant, currency. For. Today's call I will begin with results, for the quarter on a consolidated. Basis, for alphabet, folk seeing on year-over-year, changes. I will, then review results for google followed, by other bets and we'll conclude with our outlook Sandara. Will then discuss business and product, highlights after which we will take your questions. Starting. With a summary of alphabets, consolidated. Financial performance. For the quarter our total. Revenues, of thirty three point seven billion reflect, a negative, currency, impact, year-over-year of. 385, million or three hundred and five million, after the impact of our hedging program. Turning. To alphabet, revenues by geography you. Can see that our performance was strong again, in all regions us, revenues, were fifteen, point five billion, up twenty, percent year-over-year. Amia. Revenues, or eleven billion up twenty percent year-over-year, in, constant. Currency terms. Amia grew 19, percent a pack. Revenues, were five point four billion up twenty, nine percent versus, last year and up thirty percent in constant, currency other. America's, revenues, were 1.8 billion up 19, percent, year over year and up, 28, percent, in constant, currency, reflecting. Weakening, of the Brazilian, rail and the, Argentine, peso on, a. Consolidated. Basis, total cost of revenues including, tack, which I'll discuss in the Google segment results was fourteen, point three billion up, twenty eight percent year-on-year. Other. Cost, of revenues on a consolidated. Basis was seven point seven billion up, thirty six percent year-over-year. Primarily. Driven by Google, related expenses. The. Key drivers, or costs. Associated. With our data centers, and other operations. Including. Depreciation, which. Continue, to be affected, by a reallocation, of, certain operating, expenses, and content. Acquisition, costs primarily, for, YouTube. Operating. Expenses, were 11 point 1 billion up 26 percent year-over-year. Once. Again the biggest increase was, in R&D, expenses, reflecting. Our continued, investment, in technical, talent the. Growth in sales and marketing expenses, reflects, increases. In sales and marketing headcount. Primarily. For cloud and ads, followed. By advertising, investments. In cloud Chromebooks. For the back-to-school season, and the, Google assistant. G&A. Expense, trends, in the third quarter were affected, by a number of factors in particular, the, performance, fees as, accrued. In connection, with recognition, of equity, security, gains which. Were again partially, offset, by the reallocation, of certain, expenses, from GA, primarily. To other cost of revenues. Stock. Based compensation totaled. 2.2. Billion, headcount. At the end of the quarter was ninety, four thousand, three hundred and seventy two up. Five, Thousand, three hundred and fourteen, from last quarter. Consistent. With prior quarters, the majority, of new hires were engineers, and product managers, in terms. Of product areas, the most sizable, headcount, increases. Were in cloud for, both technical, and sales roles. Operating. Income was eight point three billion, up seven percent versus, last year for an operating, margin, of twenty five percent as. Discussed. In the previous two quarters, both operating, income and oh I na, are affected. By the new accounting, standard, the changes, the way companies. Account, for equity security, investments, this, new standard, continues, to result in greater volatility, once. Again we've provided a table, in our earnings press release to highlight the impact on particular, line items other. Income. And expense, was 1.8, billion which, includes, 1.4, billion of gains in equity, security, investments, we, provide more detail on the line items, within Orion II in our earnings press release our, effective. Tax rate was eight point eight percent for the third quarter, reflecting. Discrete items, notably, an adjustment, associated. With the u.s. tax act net. Income was nine point two billion in earnings per diluted share were thirteen dollars and six cents, turning. Now to capex. And operating, cash flow, cash. Capex, for the quarter was five point three billion which, I'll discuss in the Google segment results, operating. Cash flow was thirteen, point two billion with, free cash flow of seven point nine billion we. Ended the quarter with cash and marketable securities. Of approximately. One hundred and six billion, let. Me now turn to, our segment financial. Results, starting. With the Google segment, revenues. Were thirty three point six billion of twenty, one percent year-over-year. In. Terms. Of the revenue detail, Google, Sites revenues, or twenty four point 1 billion in the quarter up twenty, two percent year-over-year, in, terms. Of dollar growth results, were led again, by mobile search with a strong, contribution, from, YouTube, followed, by desktop, search. Network. Revenues, were four point nine billion up thirteen, percent year-on-year. Reflecting. The ongoing, momentum, of AdMob, and programmatic, other. Revenues. For Google were four point six billion up twenty, nine percent year-over-year. Fueled. By cloud, and play, we. Continue, to provide monetization. Metrics, in our earnings press release to give you a sense of the price and volume dynamics. Of our advertising, businesses. Total. Traffic, acquisition costs, were six point six billion or twenty three percent of total advertising revenues. And up twenty percent year-over-year. Total. TAC as a percentage, of total advertising, revenues. Was relatively, flat year-over-year. Primarily. Reflecting. A favorable, revenue mix shift from network to sites offset. By an increase, in the site stack rate the. Increase, in the site stack rate year-over-year was, driven by changes in partner, agreements, and the ongoing shift, to mobile which carries higher tack this. Quarter we experienced, a year-on-year decline. In the network tack rate due, to a combination of factors none, of which were individually, significant. Google's. Stock based compensation totaled. 2.1. Billion for the quarter up 23%, year over year, operating. Income was 9.5, billion up eleven percent versus, last year and the, operating, margin was, twenty eight point two percent. Accrued. Capex, for the quarter was five point six billion reflecting. Investments, in production, equipment data, center construction, and facilities. Let, Me now turn to other bets, revenues. Were, 146. Million primarily, generated. By fibre and verily. Operating. Loss was, 727. Million other bets, accrued capex, was 55, million in terms. Of other bet updates for the quarter with, Wei mo in the third quarter we built on our early Ryder program, both expanding, the group of participants and, beginning, to test pricing, models at. Verily. The team continues, to execute, on its various partnerships with. Leading pharmaceutical companies. Consistent. With its mission to move medicine, from reactive, to proactive. Recently. Launched efforts include a joint venture with ResMed, to focus on sleeping, disorders, and a, research collaboration, with, Gilead. Finally. You can see in our results, the benefit, and quality, of our investment, teams G V and capital, G which, are also within other bets within. The 1.4, billion of reported, gains in equity, securities, in Oia. Approximately. 400, million was realized in q3. There. Will be more detail on these investment, activities, in the 10 q let. Me close with some observations, on the quarter and our longer-term outlook. First. With respect to revenues, in the, third quarter results reflect FX, headwinds, with US dollar strengthening. In contrast, to the tailwind, that enhanced, reported, results in the first half of the year we continue. To be pleased with the underlying, momentum, in our advertising businesses. As we, apply our strengths, and machine learning to improve the experience, for users and advertisers as, we. Noted, hardware. Was only a modest, contributor, in the third quarter as we, launched a new made, by Google family of products for the fourth quarter, holiday, season. Second. With respect to profitability, within. Cost of revenues the biggest component, is TAC we. Indicated, on the fourth quarter. 2017. Call that the pace of year-on-year growth in site stack as a percentage, of sites revenues, would begin to slow after, the first quarter of, 2018. And you. Can see that again clearly. In our results, this quarter. As frequently. Discussed, we do expect the site stack rate to continue, to increase year-on-year, reflecting. Ongoing, strength in mobile search. Looking. Ahead we, expect seasonal, impacts. To our other cost of sales from. Hardware, sales which are typically, higher in the fourth quarter of the year as well. As from increased, content, acquisition costs. For YouTube which have, also historically, been higher in the fourth. Quarter, with. In-app X we continue, to prioritize our, investments. To support long term growth in terms. Of headcount, growth was, seasonally, higher in the third quarter, because we brought on new graduates, we, are continuing, to invest in adding talent, to our priority, areas, particularly. For technical roles in engineering, and product management, and to, support our most sizeable growth areas in particular, cloud, as I've. Mentioned previously, regarding. Sales and marketing, expenses. Are more heavily weighted toward, the back half of the year have, you seen as you have seen in prior years these. Expenses, are particularly, elevated. In the fourth quarter to support. The holiday season, other. Bets, remains a portfolio, of earlier, stage businesses, focused, on addressing sizeable, markets, we, are moving toward, early stages of commercialization. While, continuing, to calibrate, the pace of investment, against, achievement, of key. Milestones. And. Finally. With respect to capex, you can see our continued, investment. As we build the infrastructure. Needed to support the opportunities. We see across our businesses, this. Includes a number of data center construction, projects, in flight as well, as ongoing expansion. In our compute capacity I will. Now turn the call over to sundar. Thanks. Ray we had a great quarter and it was particularly special because. Last month we celebrated, Google's 20th birthday and the, tenth birthday of Chrome it's. Exciting to think that 20 years in we, are still just at the beginning of what's possible we. Get billions of questions from users every day and about, 15% of those are queries, we have never never, seen before. Our mission, to make the world's information accessible. And useful is as relevant today as when we started I want. To begin by highlighting, a recently launched family, of hardware it's, a great example of how we bring together Google, strengths, to help people through their day then. I'll touch on ways, AI is helping us approach our mission I'll, give an update on our video and advertising. Platforms, and finally. I'll talk about our growing cloud business. First. Hardware, every. Year we have a new opportunity to push the boundaries of computing, those. Experiences. Come to life in our made by Google Hardware which, combines, the latest advances, in software, hardware and AI. Our. Third, generation is our best yet it. Includes the pixel 3 Google, home hub the pixel slate tablet, and more, we're. Getting great feedback and, I'm very excited, for users to try these devices, especially. As the holiday season approaches. Our. New hardware lineup showcases. The best of Google including, the Google assistant Android. And Chrome with. The pixel 3 we have used AI to create, a best-in-class camera, new. Features like top shot make it so you never miss a shot if. Your timing wasn't perfect, the camera will suggest a better frame and give you the option to save it a night. Site will help you take really good pictures even. In bad light. Pixel. 3 also has a custom, security chip called Titan M it. Was built to secure Google's, own data centers, and now, we are bringing it to our users, we. Also released, Google. Home hub our first smart speaker for the screen it. Shows your morning commute lets, you control your smartphone and gives. You hands-free, help in the kitchen and pixel. Slate Chrome, OS re, imagine as a tablet with, all the great apps from, the Play Store. Our. Hardware efforts are picking up real momentum, for. Example, daily. Active users of our Google home devices, have, grown by over 5x. In the last year alone I'm. Incredibly. Proud of our growing Hardware team including. The talented, employees, who, came over from HTC, and nest, our investments. Are paying off as we bring the best of Google to more uses and in, more countries around, the world. Even. As we build up our hardware business we continue, to advance a mission across, our core products, and platforms. Last. Month we kicked off 20 years of Google search by. Introducing some of the biggest updates, in many years, they. Include a new AI powered, ranking, approach that, delivers, more relevant, results a, redesigned. Google feed called discover, to, help you stay informed on topics that matter to you and a. New search experience, for Google images. We. Also continue, to tackle the information, problem, of connecting, people to relevant jobs right from search this. Has already helped connect over hundred, million people in 92, countries to job listings, that meet. Their needs and skills now. US service members can search for jobs, for veterans and enter, their military occupational. Code to. See relevant, civilian, jobs, the. Google assistant, continues, to gain traction, drawing. On our strengths in machine learning and helpful. Google services, like search, YouTube. And maps we've. Expanded the assistant to 20 languages in 76, countries and. It can now understand. And speak more than one language at a time, we. Launched a first set of smart displays, with Lenovo and JBL, as. Well as our own Google, Home Hub pixel. Users in the US will be the first to try our new duplex, technology, which. Helps you complete real-world, tasks, over the phone like. Calling a restaurant, to book a table and, we. Introduced a new way to easily, book write services, with your Google assistant, in. Maps, we also made several improvements including. A commute tab at live traffic, and transit information, and support. For mixed-mode, commutes. Earlier. This month we announced an exciting, test called, product stream we. Are working with video game publisher, Ubisoft to, stream their latest game, Assassin's. Creed Odyssey, to Chrome browsers, on laptops, and desktops. Streaming. Graphically. Rich content, for video games represents. A great technical advance, and we, look forward to seeing what's possible here. I'm. Particularly, proud of our strengths, in AI are creating. Life-changing, contributions. In other fields for. Example, our recent, flood prediction efforts, which, use AI to better predict when floods will occur have, the potential to help millions, of people get. Out Of harm's way we. Are starting in India where 20% of flood related fatalities, occurred today and we are looking to expand to more countries soon. Earlier. This month our researchers, showed how they've applied deep learning models, to, improve the accuracy of diagnosis. For metastatic breast cancer our. Research, found that pathologists. And AI can work together more effectively than. Either alone. Moving. To our video and advertising, platforms, which, are creating economic, opportunities for, partners, around the world first. YouTube, one. Particular, area of focus is educational, content, every. Day people from all over the world turn to YouTube to learn something new from career. Skills to, coding, to cooking, just. This week we, announced a 20 million dollar investment, to expand, our YouTube learning initiative, which, will help fund established, in emerging, educational, creators, we're, also partnering, with organizations like, goodwill and Europe, to create curated, playlists that teach, career skills directly in our new Learning Channel. YouTube's. Ads business, continues. To provide great results, for marketers, and creators, at. Advertising. Week we announce that we'll be expanding our popular, TrueView, for actions, format, this. Helps, users take action, directly from video ads they. Can now do things like sign up for a newsletter and, soon. They'll, be able to find movies short times download. Apps or even book a trip right. From the ad, for. Creators YouTube is continuing, to build alternative. Revenue products, like, super chat channel, memberships, and the, ability, to sell merchandise, directly. Defense. YouTube, gaming creator markiplier. Increased. His revenue by. 20%. Using channel memberships. We. Continue, to see positive traction, for our newest subscription, experiences, to, YouTube. Premium YouTube, TV and YouTube, music premium are continuing, to expand to many new countries. The. Team is also investing, in growing and improving the news experience, on YouTube more. Prominently, Surface, incredible, new sources on the platform, is a big priority for us. Next. Are advertising, platforms. Advertisers. Love that we are bringing our machine learning strengths. To offerings like responsive. Search ads and universal. App campaigns, to create more effective ads, one. New example is smart shopping campaigns, which use signals, like seasonality, and price. To optimize, where, ads are shown. Tens. Of thousands of advertisers, are using this and seeing an average of 20% more sales for the same budget. Just. Last week we announced that Nike, Best Buy in Sephora are, joining our shopping, actions program. This. Allows people to move seamlessly from browsing to buying with a universal, cart that, works across Google, search and our system. In. Apps we announced a partnership with unity technologies which, gives their advertisers, access, to one of the largest global networks, of mobile gaming titles across. 1.5. Billion devices. Unity's. 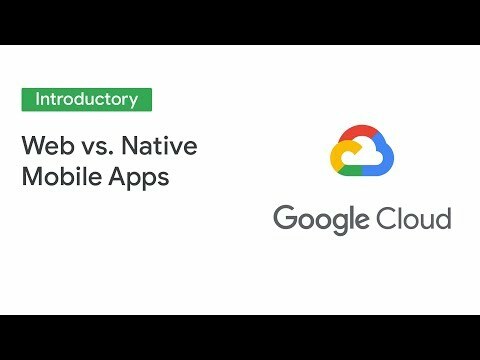 Developers, can monetize, their apps with Google Ads without. Any additional, development, work and. Lastly. Our growing, cloud business at. Google cloud next we made over hundred, announcements, including, the, tightened security key which. Features, Google designed firmware, to help verify, that. Nothing, on a customer's, key has been tampered with and we. Expanded our breakthrough cloud Auto ml, portfolio, which now includes, vision natural, language and translation. And, all. Over the world we are seeing great customer, adoption of our cloud platform. With. The help of a say P Metro. One of the largest b2b, wholesalers. Globally. Is, centralizing. The finance system on Google cloud platform they're. Using bigquery, to generate data-driven, insights, to help create more personalized. Marketing campaigns. In. The US we, partnered, with the National Institutes of Health to provide access to cloud services that help, researchers, access, large datasets to. Accelerate, biomedical. Advances. We. Also added, new customers, like ing, and Broadcom joining, existing, customers, like PayPal ANZ. Ban and Kroger. Our. 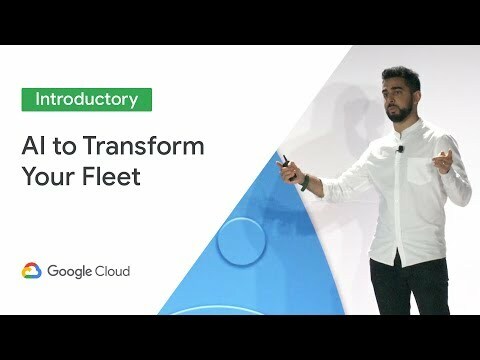 G suite business continues, to fuel transformation. In companies large and small and, we, cross two important, milestones, in the quarter. Google. Drive became, the eighth Google, product, with 1 billion monthly active users and, Gmail. Now has more than 1.5. Billion monthly active users. One. Of our big wins in a quarter was fast retailing, to. Japanese retailer, best known for its popular, brand Uniqlo, which, is migrating, its employees, globally to, G suite while. Also pursuing AI solutions. Like, on demand, forecasting, on Google, cloud platform, our. Cloud business is benefitting from our investments, in technical infrastructure, including. A US Europe cable, that, will improve speeds for millions of people. Before. I wrap up I want to quickly call out our continued, momentum in Asia as, well as the investments, that we are making in the US as you. Can see from our results revenue, growth in APAC remains strong this. Is a reflection of our very focused, efforts to build great experiences, for. The billions of people across the region we. Have adapted many of our core products, like search maps and YouTube to work well for, the next generation of users coming online, we're. Also building products, to meet the specific needs of users in the region like, tears a digital, payments app for India to help people easily. Pay their electrician, or splited in a bill for, just a few taps just, one. Year since it launched over 30 million people in businesses, across India, now, use the app every, month and they've, collectively, made more than 1 billion transactions. We. Have recently rebranded the app to Google pay as, we look to bring many of the apps features, toward us to others around the world, we're. Also investing, closer to home. In q3, more, than 80%. Of alphabets, total capital expenditures, was within the u.s. not. Only do these investments, in data centers, machines, and offices, allow. Us to provide great services, to users they. Have a strong positive impact, on the communities, around them supporting. Thousands. Of jobs and countless, local businesses, this. Year to date we've added over 9,000, new employees, in the US and we. Continue, to grow faster, outside, the Bay Area than in it as. You can see this exciting, momentum, across many different areas I'm. Constantly. Struck by the number of incredible, opportunities. Ahead of us as a company and how. Far we've come over the last 20 years I want. To say a big thank you to all of the Googlers around the world who helped us deliver on that mission every. Day with. That I'll hand it back to Ruth Thank, You sundar and we will now take your questions. Thank. You ladies, and gentlemen on the phone lines if you'd like to ask a question at this time please, press star, and then number one key on your touch-tone telephone. If, Your question has been answered or you wish to remove yourself from the queue you may press the pound key and, our. First question comes from Eric, Sheridan, of UBS your. Line is now open. Thanks. For taking the question maybe two or sundar bye and referencing. The blog post some of the changes about how you see the future of search wanted. To know what some of the key investments, you think the company needs to make so. That search becomes, more visual, or relevant, and. What that might mean tying, it back to the business or gauge. Them with your products. Relevancy. Of ads idiom to long term and then with respect to your comments on YouTube we're, starting to hear from advertisers, that are some blurring between brand, and direct response, ads. As. They look at products, maybe more across, blended, lines, it. Sounds like YouTube, announcements, coming out of add week or about making, YouTube more responsive. Or more direct response, how. Are you thinking about the blurring of those lines and wanting for product development, long term thanks so much, thanks. Eric I'll. Take the two the first on search you're. Right that you, know I mean we would, search we are all, is trying to anticipate very, uses what. The user experience, expectations. Are and trying. To meet them there and and, increasingly. In mobile you, know people do want immersive. Engaging experiences. They want the experiences, to be more visual, and that's, partly what what you saw is announcing our 28th birthday event and and. You, know we are excited to move in that direction and I do think we have a lot of important, assets to bring here YouTube, is a big part of what we do we. Are investing in image search and and, we do have products, like Google Maps and photos which, I'll add that visual experience, and as, part of doing that you know we are, we, are investing, in our advertising. Offerings. As well and so over time you know we'll adapt, that so they go hand in hand but, I think it's an important evolution for us in. Terms of YouTube I think, I think you, know it is you know part of what makes YouTube graders, I think I think we can offer different, opportunities for advertisers. We've, always fell, directly sponsors, something that can work well on YouTube and our, instinct, is paring out and you. Know I look, at my personal use cases there are many times now sometimes, instead of search I actually find something I want to do in YouTube, maybe thinking about going to a place and. I research it on YouTube so I think it offers the same opportunity, over time and from. Our standpoint we want to make sure we. Are evolving the product to provide to bring those opportunities to advertisers so I'm very excited by it. Thank. You. Thank. You I know next question comes from Dan salmon, of BMO Capital Markets, your, line is now open. Good afternoon everyone. Soon dark two questions for you first. Earlier. This month or it might have been late last month. Sridhar. Ramaswamy your, head of ads and commerce left, to go to a VC firm I'm. Betting. That wasn't a surprise to you but I'm, just hoping you could shed. A little light on sort, of succession, planning for that important, role and whether, or not you expect any sort, of broad changes to add product, strategy, and then. Second just amongst, those, announcements on. The anniversary. We're the, evolution. Of feet to discover, and I. Recognize. That's a, evolution. Of a product, but it does look like you're taking advantage, of that. Long. Unused white, space on google.com. And, so just. Love to hear a little bit more sort, of a follow-up on Eric's question on the evolution. Of search but but how you see that surface, in particular evolving. And. Particularly. To the potential for ad monetization, over, time Thanks. Good. You, know on the first one you, know look I mean we one of the things I'm really proud about Google is we, have a deep, bench of talent, and you, know and and you. Know For example in the ads team, almost. All of our senior, hats leadership. Has been here for you. Know well, over a decade and so. For us we are fortunate to be able to tap into it our, ads leadership, comes you. Know Prabhakar. Who was taken over our, ads, product, in engineering efforts is someone I worked with for many many years and and. You. Know most recently, you. Know has led our G suite business but, has done many roles before is a deep computer, scientist, and you. Know and I expect, to forum. To continue our tradition, of technical, excellence with which we approve, you know approach our advertising, work I also, want to mention you know Phillip and, his team his. Extraordinary, team you. Know who definitely. Lead. Many of our initiatives here, and Phillip and pravakar with them I think it's in great hands and I expect a lot of continuity their only. Question on search and discover, you. Know it's in addition to making search more visual, one of one of the things we are very very focused on is, you're. Not always - users turn to us and actually ask a question so we. Feel our job is to be there when users need us, anticipate. What they want and sometimes proactively. Meet them that's where services, like discover really play a role right. I think and we are thinking hard about how. We, can surface. Relevant, information, for our users stuff, they are really looking for can act on in. In a way in which it's delightful for them and showing, up for them and they need it so I see that as an important, evolution of search as well and so, you're gonna see us investing, more mobile, offers is a great opportunity and if you if you use it in pixel. Tree you, know that's the latest product in which we, bring our vision of how to bring all these products together and we'll, give you a good sense of how we plan to do. That over time. Great. Thank you. Thank. You and our next question comes from Anthony, DiClemente of, Evercore si your line is now open. Great. Thank you for taking my questions, first. For sundar, you. Spent some time on hardware, spent, a time. Discussing your suite of hardware devices the Google assistant to pixel how, are you measuring, the returns on those investments, in hardware, both. In the products, and on the marketing side here, in a pretty competitive, marketplace. What are the milestones, for, success that we should be looking for on hardware and then, for Bruce as we. Start to look ahead to 2019. As you plan for 19, how are you thinking about the. Relationship between, revenue. Growth and dollars of operating income growth, for next year, particularly. If the. Macroeconomic. Environment were, to become let's. Say less of a tailwind, to the broader ads environment. As it was, this. Year and in prior years thank, you. On. On, hardware you know we always want, to be at the forefront of computing, and and. And you know and so, and. A lot of times that involves thinking across the whole stack, bringing. Together the. Entire experience, in an integrated way for our users and we. You, know genuinely, see a very differentiated. Way to do this you. Know we think of our approach. Of bringing together AI software, and hardware is unique, and and we think we can deliver the, best in-class experience and, we are committed to doing it at. The same time you know we want to build a great business here, as well so we are investing in the long run because we see it clearly. As an. Important, business opportunity, for us as well so both go hand in hand, we, closely look at metrics and the metrics we have been very focused on for the last couple of years this is our third generation of hardware it's, the first time we actually are doing, our products, into, em and we've expanded to newer, categories, we. Look at user feedback and reception, we. Measure, you. Know NPS, scores and, you. Know our scores are now reflecting, best-in-class in the category, and and. B and beyond that we are looking at how the market, adoption is and and we, are thoughtfully. Building a business but we're committed to building and investing for the long run and, in. Terms of how. We're thinking about planning we're in the, middle of it now and you know many of the questions that have been already asked, sort, of point to the direction of it we feel really, good about the underlying, strength, in, the ads business as we've talked about on numerous. Calls We continue, to invest. Here because we see ongoing. Opportunities. In particular, as we leverage, machine. Learning, to provide better experience, for users and, for advertisers, and. Some. Of the comments that send are made about the opportunities. That open, up with visual, search. Again. Continue to point the direction direct, response continue, to point to, some of the underlying areas, in which were, focused. But as we've talked about on Prior calls that's, one element of it and we, continue to invest for. Opportunities. That are sizeable over the long term, senators already commented on both hardware and cloud as, really. Important, examples, and we think the steps that we're taking the investments, were making are you. Know provide. Kind of the foundational, support, for ongoing. Long-term sustained. Growth. And so then we marry that with the second part of your question which is and how do we think about the pace of investment, as we've, said repeatedly we're. Very focused on investing, for the long term or trying to make sure that we prioritize. Crisply, across the opportunity, set that we have and we make the right types of trade-offs but we do remain focused on long term investing, given the scale of the, opportunities, that we see. Got. It thank you. Thank. You and our next question comes from Mark Mahaney of RBC, Capital Markets your, line is now open, thanks. To questions please one sooner could you just uh updated. Uh, with, your thinking on China and a China market and the extent, I know Google is already in that market but the extent to which you want to expand. Re expand your presence there with search and then in terms of Wei mode just a quick question. Commercialization. Of Wei mode you know when you, have a sense of when you'll have pricing, established, and, you'll you know have a roughly. Well, defined, and action acted, on go, to market strategy with, Laemmle is at the end of this year beginning of next year whatever thank, you. And. Mark on on China you know we obviously, you. Know you, know we deeply care about serving. Chinese users we've been investing for many years and. Especially. From developing, Android but. More recently we have launched mobile apps such as google translate in files go and and. You Know improve our developer, tools. There so, you, know we are we are constantly looking for ways by which we can better serve Chinese. Users and that's where that's. Where we, are VR. Today. We. Know in the third quarter as I think you know we extended, our early writer program, to a larger, group and we moved into very. Early days of commercialization, so, we do now have people paying for rides and we're also testing. Pricing. Models I think the main point we've said this repeatedly is that we. Are, intently. Focused on, safety first and ensuring a great user experience, and so. What that means is we're really expanding, the program methodically. We're taking, an iterative approach as we continue, to broaden the geographic, footprint, and then, on top of that as we've talked about on Prior calls we've been developing the, b2b opportunity. So in Phoenix, as an, example we've been piloting with several partners who were sponsoring, a service, on behalf, of their employees and customers and, again. It's early days so small revenues, but we're, pleased to be testing, this out as well and then, on top of that continuing, to explore, applying, our technology, for logistics, and deliveries, and for personally used vehicles, and for last mile solutions, for cities so you, can see a move in the third quarter but as we said repeatedly it's very early days and we are taking a very deliberate, iterative approach to broadening it out. Thank. You Ruth Thank You sundar. Thank. You and the next question comes from Brian Nowak, of Morgan Stanley your, line is now open. Thanks. Taking my questions I have two the first one on unmapped. Monetization. And putting some more ads in the map can you just talk about sort of early. Early, learnings there and you talked about local, mobile. Searches growing, quite rapidly in the past but any any early learnings from the monetization and the return that advertisers, are getting on that front and, the second one on video games in project stream could you just talk a little about how you think about the gaming opportunity, for alphabet and what you think are the key factors, you need to tackle to, really build and scale a direct, to consumer, facing cloud, gaining product. Look. On the on the ad stuff, we've had ad, formats, and maps for some time and you know and we are constantly, working to make it more useful and relevant but. I wouldn't underestimate the, focus, we, have on local you know that just. To give you a sense local mobile searches are, growing faster, than just. Mobile searches. Overall. And have increased by almost 50, percent in the last year so. For, us that's an important, focus area and maps plays a big role there, so we, recently announced local campaigns, which. Is a new campaign type specifically. Designed to drive foot traffic to local businesses, right and it's gonna roll out in the coming coming. Months and so. That, is a big focus and, as you pointed out we are definitely launching. And experimenting, with newer. Ad formats, on on maps itself, we have promoted places. Which appears on the map itself we. Have placed page ads which appear on Google listings, and maps and search but. We are definitely in the face of you. Know putting those testing. It out making, sure the user experience works, and making sure we can deliver value, for. Advertisers, we're being patient here because the. Opportunity, in local search though, you. Know it's, a big opportunity and via focus there on, your, second, question, you, know look. We today, serve. Our users on gaming, across. Across. Google alpha but in many ways right obviously Google Play does. This a lot it's a big important, vertical. On YouTube, and and. So we are so, we we touch you know if we touch, with. Gaming developers, across. Many areas already and, so we are thoughtfully, thinking about what more we can do there and, project. Stream you. Know I having. Spent my life on computing, I was blown away by. Seeing. Our ability, to stream a game which in needs, real-time, interactions. And to be able to do that from the cloud and it's one of the you, know most important. Technological advances. Have seen in a while and so we are going to focus. On that and and make sure we are making progress. There And bring new, experiences, for gamers. Great. Thanks. Thank. You and the next question comes from Douglas, Anmuth of JP Morgan your, line is now open. Thanks. For taking the questions one, for Sahn Darwin for Ruth sundar, can you help us better understand how the remedy in Europe will work in terms of his license is intact going forward and what impact you see that having on financials. And then, Ruth can you just talk about where you are in the hardware replacement. Cycle, in your data center is pretty major. Step up this year just given that large ramp, how, are you thinking about the trajectory into 19 thank, you. Thanks. Doug on on. Europe, you, know it's, early to say I will begin on the implementing, the, remedy in. The in the next few weeks but. In all these cases you, know we always you. Know we focused on complying, with the Commission's directive, and we. Want to make sure that, the transition for both, our users, and our OEM, partners is as smooth as possible, in. This case you're dealing with life cycles, for mobile phones so changes, is going to take some time to reach users and it's. Difficult to predict how the licensing, model will be adopted, but you know our products, are very popular with users across platforms, and and. So it's, it's early to say but we're focused on doing the right thing there in. Terms of technical. Infrastructure, and our capex, you, know as we talked about last quarter. Capex, reflects, our view of the growing opportunity, set in our core, ads and search businesses. As well as the longer-term opportunities in. Newer businesses in particular to, support, cloud and then, very importantly as we've talked about a machine learning across alphabet. And we're particularly. Excited about the opportunity, with machine learning because it opens up more, services, and products for users and for advertisers and for enterprise customers and, so given. Our view, about the long-term potential, with these opportunities we're, very focused on sure on ensuring, that we have the, needed, compute capacity to support growth. And that's what you're really seeing, with the uptick in, investment. To. Give you a bit of a breakdown the largest component continues. To be machines, but, relative, to last year, it's, important, to note, that data. Center construction is, an, increasing, percentage of our capex investment. And so we're. Now in various, stages of developing, more than 20 data center sites globally, we're, also investing. In network. Infrastructures. Such as undersea, cables. So we can deliver speed. And quality so, again, this really goes to our our, view, of the of the opportunity. Set that. Being said we do remain very focused on optimizing the use of capex, and also, on compute, efficiency. We're. Very mindful of the fact that our decisions, here on capex, don't just result in capex, spend but. Also translate, into higher depreciation. Expenses, and that goes both to cost. Of sales and op X so. You know very careful about how we're using it but I want to make sure that we've built for the requirements. That We have and as, much as you asked about technical. Infrastructure, just a quick, note that our facilities, spend namely. Real estate was more muted this quarter and it was primarily just, the ongoing, work on our ground-up development, so you're primarily seeing what's going on on technical. Infrastructure, here. Great. Thank you both thank. You. And our next question comes from Ross Sandler a Barclays your, line is now open. Great. Um two. Questions, Ruth so, you guys posted pretty solid, growth all around but. If we look at some, of the international, market these each, geography, had a tougher comp and decelerated. A little bit on currency, neutral basis so I guess. Stepping back high-level, the, growth rates are solid. But can you give us any color on the, overall macro, picture here I think we're getting, mixed. Feedback from, from, different, companies across different sectors so any, high-level comments. Would be would, be helpful on just, the ad market given that you're close. To 20%, of global advertising X, China and then, uh sundar. A question, on on I. Guess pixel, and just the overall advance that you're seeing in, smartphone. Devices so as you guys roll out more, products like lens and G board and some, of these other utilities. On top of you. Know your billion plus apps like search and YouTube is there any way to parse out what the. Overall engagement looks like in, markets, like the US and Western Europe when, the, phones are improving their functionality, and can you keep adding these. Additional utilities. Is, clear volume going up on a per user basis, any color that would be helpful. So. In terms of your first. Question we. Actually feel. Pretty good about the strengths globally, which you know which I noted, in opening comments, you, know across, the board 20% growth. In the US on a 15 billion dollar base, but. Sundar noted what's, going on in a pack 30 percent, year-on-year growth it's, now over. A five billion dollar revenue. Business. And, we've had sustained, quarter. After quarter growth at this you know kind of 30 ish percent, area feel really good about that you know and by country it really does reflect broad-based. Strength as he said we're very focused on the region and I think, we're delivering terrific products and experiences in, rapidly, growing markets, you, see the same thing in other Americas, neutralising, for currency movements, 28 percent year-on-year growth so we're really proud of what the teams are doing around. The globe. You. Know on your second question, you. Know one of the things we clearly see, when we when we make a hardware, product like pixel, in which. All all, the all the tools and the utilities we build are you, know are conveniently, they're integrated. And experience, is great we. Definitely, see users engaging more. You know and so we, see an opportunity and, that's one of the bigger reasons why we, do hardware as well to. Show that into an experience, both for our ecosystem, as, well as for us it. Helps us you. Know give users a much deeper engaged. To experience, as well and and. You know when you when you look at all our products, you know we see that and so we do see that as an opportunity. Thank. You and our next question comes from Michael Nathanson, of Moffat Nathanson, your, line is now open thanks. I have to force under kind, of same theme was, on the pixel 3 the, marketing message is clear, the product looks great but. I wonder when you look at to, date the, success in ramping the product what's. Been the gating factor has, it been. The. Carrier's, has it been the price and we looking at the factors for why hasn't scaled as much as a product should have scaled one. Of the factors and then on verily you. Called out some, deals you've had with big pharmaceutical, companies is this this quarter but, again they're I wonder who's. Your most natural partnership. Is it hospitals, insurance governments. So we think about the big opportunity, where's. The most natural fit to drive early going forward. You. Know on on on pixel, look, you know first of all you, know part, of the big thing is this is our third generation of hardware each generation first of all we've, been scaling, up the product, in terms of even the number of units we can make and so on so you. Know We you, know if you remember the first couple of generations we were struggling to meet the early demand we saw does. The first year we have done it end to end and and, and we are ramping up from, there and so each year when I look at all, the, metrics speed NPS, or beat. Our sales. Beat. Our side you know reviews, etc everything, is progressing well but. There are you're right the gating factors, you. Know to ramp, this up first, of all is to be able to build a supply we. Need and, second, is you, know go to market, getting, getting, ourselves and as many, locations. In retail as possible, in as many countries as possible with, as many, career. Certifications, as possible, so, in each of those dimensions, we, are making, progress. As well. Verily, you. Know we've talked about theirs they. Have partnered, with a whole. Host of leading, pharmaceutical companies focusing, on specific, diseases whether it's diabetic. Retinopathy. Whether, or cross, the board for neurological, diseases I announced, a couple or. Of. New partnerships, the the ResMed. Arrangement. As well as Gilead, and that's what they tend to do they partner with best-in-class, to focus on specific areas, we're, working. With the pharmaceutical companies, they can in the. Technology, we have and benefiting from machine learning we can really move from reactive. To proactive care, that's the that's the barely focus. Thank. You the next question comes from Heather Bellini of Goldman Sachs caroline, is now open. Great. Thank you I just wanted to focus on cloud a little bit more sundar. You gave some good color in your prepared, remarks but I'm wondering if you could share with us in update. Maybe on the partner momentum, and direct sales momentum, you're seeing in the market how you've seen that change and, also. If you could highlight you. Know if you've noticed if, there's been noticeable, changes, in win rates over, the last year, as the product continues, to mature and you. Know you also in, the beginning of the year and exiting q4, you would give us some high-level growth, commentary. About, GCP. And I'm just wondering if you have anything else you could share thank, you, thanks. Heather, looking, overall, I mean you, know it's now now we've been doing. This, seriously. At the next level for, three. Years and you know we are definitely, seeing strong. Indicators. That are the, investment, in product, you. Know it's clearly beginning, to work in. Our value proposition does, come through in many competitive, situations, I've, seen you. Know many important, events and what seem like very very competitive, situations, I you. Know I also don't you know from that from the way we see it you, know it doesn't look like a zero-sum, game as, you as you know it's Vera dressing a large market, opportunity, here, it seems like very early days and more, importantly, the, general sense I get is we're very aligned with where the market, is headed in the long run, you. Know this notion of supporting, open. Architecture, so. That enterprises. Don't feel locked in and, in, allowing, allowing, for a multi cloud environment, to develop that's, the direction we are betting on and our indications, are that the market is headed in that direction as, well so, that gives us a lot of comfort, that. Lives as a that, gives us a lot of comfort as well and. On, the on the go-to-market side you know we have really ramped up both in terms of our our, investments. Our Direct investments, but also our partnership, strategy is beginning to work and when. I look at the pipeline ahead, you, know that's the a clearly seeing momentum, there as well you, know in this business you. Know obviously the enterprise business plays in a way in which you. Do have vents but those accounts, turn into larger revenue deals over time and and, so, it's very clear to us that we are laying the foundation, and we are getting the strong early momentum, and that's. That's the big reason why we are investing. In. A strong way in the area and over time we'll obviously share more here as well. And. Could I just ask one follow-up it's possible, I was just wondering if you look at Microsoft, they have a on-premise. And cloud strategy. If you look at Amazon what, they're doing with AWS, and VMware, they're, kind of doing a similar strategy do you think there's, a requirement. For you to also have an. On-premise. Strategy. To, solve, this hybrid. World as long as it's hybrid for thank. You, you. Know I you know we are totally, looking at it you know I mean we are increasingly, working with partners, like for example a partnership from sa p or, pivotal. VMware, these, are all on hybrid cloud solutions, and so we, are you, know thinking, about you, know how to do that better and our overall, approach, to cloud hybrid modernization. I, think, is the right long-term direction, and so we are doing that and you, know there, are many many situations we are in where on-prem, is a big big, big requirement, for customers, but with our partnership, approach we've been able to address the needs well so I don't see there a gating. Issue for us. Thank. You. Thank. You and our next question comes from Brent, bill of Jefferies your line is now open. Thanks. Ruth. I just wanted to see if you could quantify the FX. Headwind, I think you were it was a negative, 1%, for q3 and q4, do you anticipate it to be similar a little worse I. Will. Let you forecast, the dollar you. Know it is you noted it was it was a point here went from a tailwind. In the second quarter to a one, point drag here going forward but we, called out the and we'll have more in the cube but you, know noted, the, impact, for example a, pretty big Delta between are reported, and fixed in other America's, 19. To 20 percent, growth and that was really what. Was Going on with the Brazilian real and the Argentine, peso we, saw some movements and other currencies around the globe but you can see that which is why we broke out the the. Geography. The way we've done it the number. Of quarters ago to try and give you help, give a better sense of the types of headwinds don't let you forecast a dollar. Okay. We look forward to that real. Quick just on amia, you, were flat. On your constant, currency growth 19%, 19%, the. Last two, quarters, despite. With GDP our so I would, believe, that would suggest that you're probably not seeing as big. A headwind perhaps is maybe, some expected, you just talk to well. The, European business and what what you're seeing there. Look. I mean specifically, I think if your question is around, GDP. Are and so on you, know first of all I mean. We've always been as a company, very very focused on user, privacy, and security, and, so, in some ways you know we, were very early on engaged, on you. Know GDP, our and we worked very hard to, make sure, you. Know our products, are ready, and in compliance, we've. Generally always approached, our products with a, strong. Privacy, lens for our users so, I think that helps us work. Through these these. Changes, because I don't think they are at odds with what we are trying to accomplish. I think, GDP RS you know very good and comprehensive. Set of regulations and you, know and and, so, I think it's been good to see a smooth, transition on our products, and for our users we're. Continuing, to invest significantly. In Europe because we see the opportunity, across, Europe and are investing in the communities in which we're working. Thank. You. Thank. You and our final question comes from line of Justin, post a Bank of America Merrill Lynch your, line is now open. Great. Thank you one, quick one for Ruth people. Are really asking. About Amazon, just wondering if your e-commerce vertical, was, any, difference versus your other verticals, in the court or anything to call out there and then, secondly sundar, you know a lot of interesting, things going on with YouTube and way Moe and cloud and other areas as you look as you look out two or three years do you think any of these businesses could really make a financial positive. Difference on the bottom line for, overall Google thank you look. I mean I think on. The first thing on ecommerce. Maybe we've you. Know really, you know people you. Know we. Do see a lot of activity in the vertical on our products, and we see strong growth, there as well we, see it as an important, use case and that's why we are investing, a lot you know if you look at our recent, work with, shopping. Actions, that's an example of the kind of work we are doing there and, and. And, when we do those things we. Clearly. You. Know see uses respond. Like. For example on shopping actions I think we just recently had partnerships, at Best Buy and Nike and Sephora I mentioned it earlier so. We're continuing to invest there you. Know and and we're also driving. Strong partnerships. With the retail sector both. In terms of our shopping, experiences, as well as through cloud and, I think that continues to be a big opportunity and only, a broader question look. The reason we are investing, across Google, and alphabet, in, a set of areas is, because as a company, over, the past 20 years you know we've developed, deep capabilities. 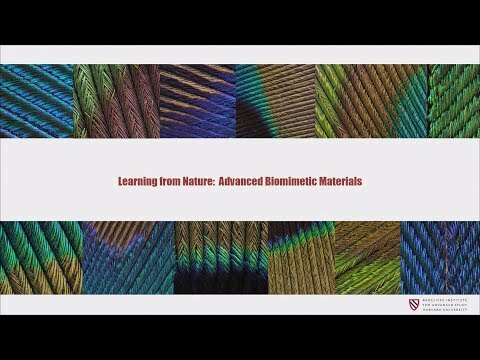 In technology, in computer, science and, especially with machine learning and AI and we, see an opportunity, to apply that across a set, of important. Areas there are a lot of opportunities, I had, we're pretty disciplined, about very focus on and we, focused on real large opportunities, and when you mention areas like YouTube. And Way more in cloud and hardware, they all fit the category but, we take a very long-term view and we, want to investigate, the user experience right and we're. Pretty confident, that when we do that the valley will follow. Thank. You sundar. Thank. You and that concludes our question, and answer session for today I'd like to turn the conference back over to Ellen West for closing remarks thanks. Everyone for joining us today we look forward to speaking with you again on our fourth quarter call. Ladies. And gentlemen thank you for participating in, today's conference this does conclude the program anyway all disconnect, everyone, have a great day.